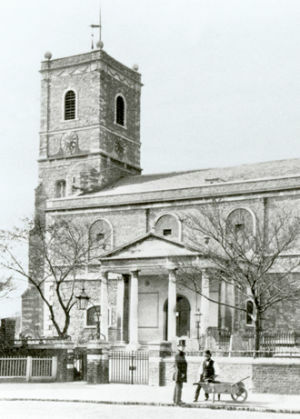 On the 1st of October 1868, Alexander Lindsay married Elizabeth Bellamy at St Mary’s Church in Lewisham. Neither had been born in, or even near, London. Together they would have three children, Alexander (born 1869), Margaret (born 1873), and David (born 1876), and would remain married until Alexander père’s disappearance in 1888, when he failed to return home from work, and much later proved to have left England entirely to start a new life in Canada. In this article, I’ve presented the results of research I carried out into David Lindsay’s mother’s and father’s families, using family history records, newspaper archives, and some other online resources. My intent was to verify and, where possible, extend some of the points made in the biographical sources we have about Lindsay’s life, using data that would not have been at all easily accessible to Lindsay’s biographers. I finish with a section looking at a few points from the biographies in the light of this research. David Lindsay’s mother Elizabeth was born in 1840 or 1841 (she was baptised on the 25th of July 1841), the third of three daughters to Thomas and Elizabeth Bellamy in Leamington Spa, Warwickshire. Leamington Spa was enjoying a boom at this time, thanks to its reputation as a fashionable resort, after its spa waters (which had been known in Roman times) were rediscovered in 1784, and the town became the destination for wealthy holidaymakers. Thomas Bellamy (probably born 1803) was a glazier in 1835, but by 1837 had changed his profession to plumber (perhaps a more lucrative line to follow in a spa town). His wife Elizabeth was born in 1801, and his two older daughters were Mary Ann (Marianne in some records), born in 1834, and Mildred, born in 1837. The family lived on Regent Street in Leamington Spa’s “New Town” area, north of the River Leam. Thomas Bellamy died in about 1845, after which his wife earned her living as a fishmonger and poulterer. The Leamington Spa Courier has announcements in various years between 1848 and 1862 that she’s been granted a licence to sell game. In 1862, however, she’s in court for bankruptcy, and at her death, in 1863, she seems to have been living on Satchwell Street, which, though it runs directly off commercial Regent Street, was then considered part of the town’s poor district. By the 1871 census, the three Bellamy daughters, all now married, some with children, are living in three consecutive houses in Lewisham: 3 Gye Cliff Villas (the Lindsays), 2 Gye Cliffe Villas (the Joyces), and 1 Gye Cliffe Villas (the Couchmans). 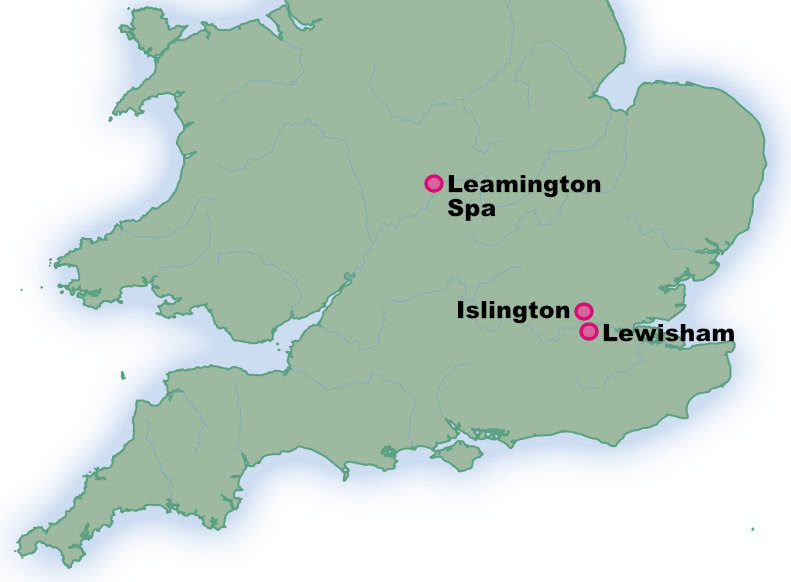 All three families would stay in and around Lewisham for much, if not all, of David Lindsay’s time there. The Joyces had three children, Edward Ernest (born 1865), Edith Marian (born 1871), and Margaret Annie (born 1875). Their father Henry was declared bankrupt in 1896 while working as a journalist’s manager. The same year, he attended the wedding of his youngest daughter (at which, the report in The Kentish Mercury says, one of her bridesmaids was “Miss Lindsay (cousin)” — i.e., David’s sister Margaret), and another newspaper item says that, the following month, due to ill health, he is leaving Lewisham for a six month “tour” (holiday). The 1901 census lists him as a retired journalist, visiting a house in Southampton. He died in 1907; I can’t find a record of his wife’s death. I’m not going to go into the lives of David Lindsay’s cousins, except to note one interesting item. In the 1901 census, David’s brother Alexander is married and living at 6 Radford Road in Lewisham. The Kentish Mercury for 17th May has a classified ad with one “Alex Lindsay” wanting to sell the freehold of 6 Radford Road. In 1911, this address is the home of the now-married Ernest Edward Joyce — David and Alexander’s cousin by his mother’s eldest sister — and a brood of four children. Ernest was, at this time, a journalist. It’s evident from this look at David Lindsay’s mother’s family that the three Bellamy sisters were close, and that, with three cousins and two aunts and uncles living close by, David must surely have been in contact with this half of his extended family at least. What of his father’s side? 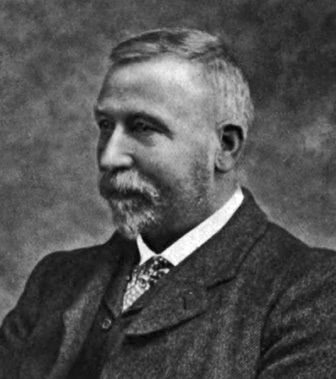 Alexander Lindsay was born in 1839 in Edinburgh, to a family that already had a minor literary claim to fame. Alexander’s mother Barbara (born 1810 or 1811) was the daughter of John Kennedy (1751–1812), a friend of the poet Robert Burns. 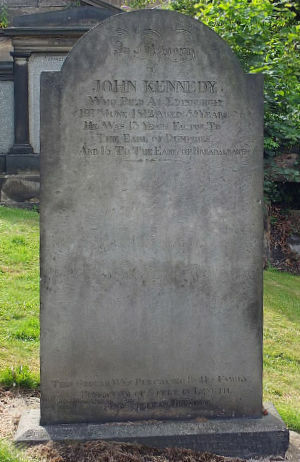 A land factor (estate manager) to the Earl of Dumfries, and after that to the Earl of Breadalbane, John Kennedy has the honour of having a Burns poem (“To John Kennedy”) written to him, being lines included in a letter from Burns when the poet sent Kennedy a manuscript copy of another poem, “The Cottar’s Saturday Night”, in 1786. Barbara Kennedy married one Alexander Lindsay (born 1802), an accountant, in 1829. They had five children: Charles William (born 1829), Anne (born 1831), Gilbert (born 1834), Alexander himself, and Mary (born 1841). In a similar pattern to Elizabeth Bellamy’s family, Alexander Lindsay senior died at some point between the 1841 and 1851 censuses, leaving his widow to, in this case, make a living by taking in lodgers. Barbara herself died in 1861. I haven’t been able to find out much more about the two older sons. Charles William may have died in 1845, but I can’t be sure it’s the same Charles William Lindsay. In 1851, Gilbert is a journeyman printer’s compositor, but after that I can’t find any record of him. It’s a different matter with the sisters. Anne went on to be a teacher, and Mary an assistant teacher, the two sharing a house in Jedburgh. Then, in 1882, Mary, the younger sister, married James Hilson. The Hilsons were a prominent family in Jedburgh, owning several textile mills in the locality. James Hilson was manager of his father’s textile business (Messrs John & William Hilson), and would become a partner in it on his father’s retirement. At the time of his marriage James was 26 and Mary was 39. Mary’s sister Anne (then aged 51) moved in with the couple, and lived with them until her death in 1904. As a mark of the respect in which he held his wife, James changed his name to James Lindsay Hilson, his wife becoming Mary Lindsay Hilson. The couple had a daughter, Jessie Elizabeth Barbara Hilson, who was born in 1884, and died in 1940. She was, for a time, organist at the Abbey United Free Church in Jedburgh. After James became a partner in his father’s textile business in 1893, the mill changed from a retail to a wholesale business, but the tweed trade entered a decline in Jedburgh, and the business eventually closed. Every year, the Lindsay Hilsons and Anne Lindsay would cross the border to holiday in the seaside resort of Spittal, and the local Berwick Advertiser would print lists of who had come to stay at the various resorts it covered. In 1887, the occupants of one boarding house are given as: “Mr and Mrs James Hilson, Miss Hilson, Miss Lindsay, Kenmore Bank, Jedburgh; Miss Lindsay, Mr David Lindsay, Lewisham, Kent.” (So this is David — who would have been 11 years old — holidaying with his sister, cousin, two aunts and an uncle.) They all appear together again in 1889. James Lindsay Hilson was something of a local figure, not just through being a businessman, but through involvement in the community. The list of societies he either formed, or took an important role in for at least part of their existence, is formidable: he was an original committee member of the Jedburgh Christian Fellowship Union; he conducted the Band of Hope; he was connected with the Jedburgh Gospel Temperance Union; he was a member of the Jedburgh Abbey United Free Church, also of the Jedburgh Literary Association, and the Mutual Improvement Association; he was secretary of the Jedburgh Musical Association until 1899; he was a member of the Town Council from 1882 for about 11 years, and of the Parish Council from 1904 to 1906; he was involved in the Jedburgh Liberal Association; he was also a member (and sometime secretary) of the Roxburghshire Liberal Association; also the Jedburgh Ramblers’ Club, of which he was vice-president at its inception in 1897, then Honorary Secretary and Treasurer three years later; he was Director of the Mechanics’ Institute Library; and was on the committee of the Public Library which replaced it; he became librarian when the Public Library was moved to Castlegate in 1900. One of his acts of charity was to see to the distribution of reading materials to various lonely outposts, such as lighthouses and railway signal boxes, in the vicinity. He also wrote articles for The Border Magazine, The Scotsman (as “J. L. H.”), The Jedburgh Gazette and The Kelso Mail, among others, some of which were later collected into books, including: Burns’s Border Tour, and Other Newspaper Articles (1907); Yesterdays with the Freeholders of Roxburghshire (1909); Wool and its Manufacture (1909); More Yesterdays in a Royal Burgh (1909); Yesterdays in the Middle Marches (1909); Border Parishes and Church Tokens (1909); Yesterdays with the “Vagabonds” on the Borders (1909); Yesterdays with the Boys’ Brigade (1910); Jedburgh Typography, 1817-1845 (1915); and Berwick-upon-Tweed Typography, 1753-1900 (1919). A speech (which can be read here), given in his honour on the occasion of his retirement from the post of Librarian at the Jedburgh Public Library, lists many of these achievements, and also notes that he has, through his wife, inherited John Kennedy’s bureau, in which the manuscript of Burns’s poem, for a short while at least, was stored. Mary died in 1918, James in 1928. In The Life & Works of David Lindsay, Bernard Sellin says that David’s mother came from a “farming family”, when it seems that her immediate family, at least, were based in the centre of Leamington Spa’s “New Town”. This gives a slightly different flavour to her background than to think of her as coming off a farm. Sellin also states that a “favourite holiday venue was Illston, a small village in the Border district, near Jedburgh, where an uncle owned a textile factory”. This uncle is undoubtedly James Lindsay Hilson. 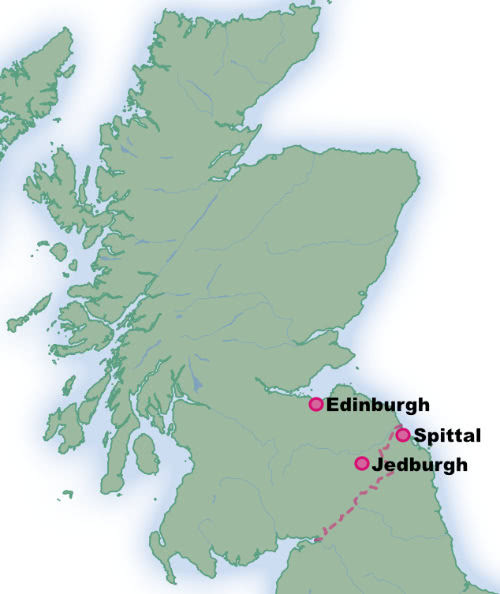 “Illston”, though, is most likely “Ulston”, a village that became part of Jedburgh. Before David married, it’s said he had an understanding or engagement with a cousin. Sellin says: “The family clan schemed to marry the London branch to its Scottish roots; David Lindsay would marry a cousin from Jedburgh, whom he saw each summer during his holidays in Scotland. Started in the early 1900’s, the engagement slowly dragged on and on.” I can’t be sure I’ve traced all of Lindsay’s cousins (missing any definite information on his uncles Charles William and Gilbert, I can’t tell if they married and had families or died young), but to me it sounds as though this “cousin from Jedburgh” is Jessie Hilson, who was eight years David’s junior, and who remained unmarried throughout her life. If my research is correct, all of David’s grandparents were dead before he was born, so it can’t have been a grandmother who stopped his entering further education. It’s possible, though, that, on the disappearance of David’s father, the Lewisham Lindsays would have turned to the Jedburgh Lindsay Hilsons for help, or at least advice. After all, at this time, James Lindsay Hilson was the manager of a successful textile mill, and his wife Mary and sister-in-law Anne, both living with him, would have been the closest surviving family on David’s father’s side. Did the two Lindsay aunts make the decision that David would have to turn down his scholarship and start earning money? If so, David’s maiden aunt, Anne — 57 at the time and the oldest family member, and significantly older than David’s uncle James, so she might have seemed, to David’s 13-year-old eyes, as old as a grandmother — could have fallen into the matriarchal role, at least in the way that the story was passed from David to his wife, and from her to J B Pick, years later. To see this page annotated with full source references, click here.